The hiring of Jim Harbaugh as the new University of Michigan football coach could help boost sales at some area stores. 89.1 WEMU's Andrew Cluley reports University of Michigan merchandise sales are expected to get a boost thanks to the hiring of Jim Harbaugh as the next football coach. Expect to see plenty of number four jerseys at Michigan football games next season, and they won't be for a current player. That's the number Jim Harbaugh wore as quarterback for the team in the mid 1980's, and the jerseys are back in stores now. 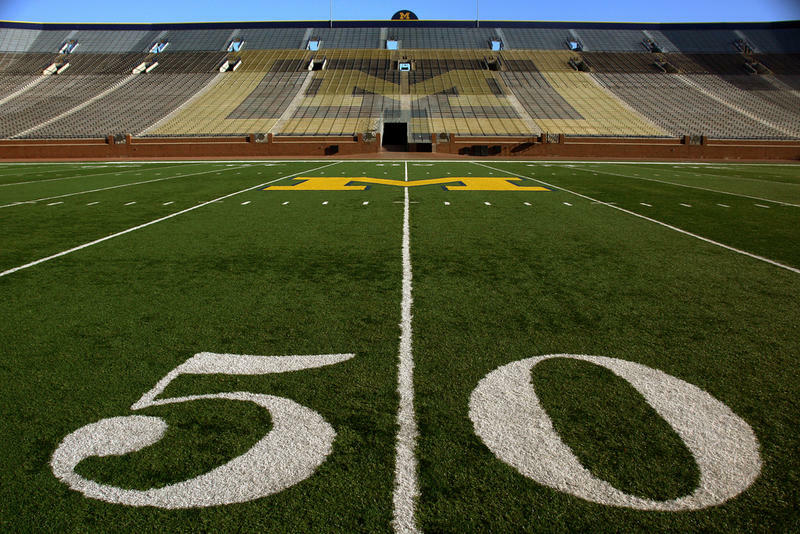 M-DEN Co-owner Scott Hirth expects a boost in sales of all Michigan merchandise. "The number one thing isn't really wins and losses so much, it's buzz and there is no question there is great buzz and a lot of happiness in the Michigan family right now about naming this new coach," Hirth says. Hirth says sales are typically down after Christmas so it's not a bad time to have this extra buzz about U of M.
With the University of Michigan looking for a new football coach, students waiting for Tuesday night's basketball game had one name in mind. 89.1 WEMU's Andrew Cluley reports on who University of Michigan students want to replace Brady Hoke as head football coach. The University of Michigan is looking for a new football coach, as Brady Hoke has been dismissed following a 5-7 season. 89.1 WEMU's Andrew Cluley reports on the firing of University of Michigan football coach Brady Hoke. University of Michigan President Mark Schlissel is calling for a review of the school's in game safety procedures following quarterback Shane Morris continuing to play after suffering a concussion Saturday. In the statement Schlissel expressed extreme disappointment in the events surrounding the handling of the injury. 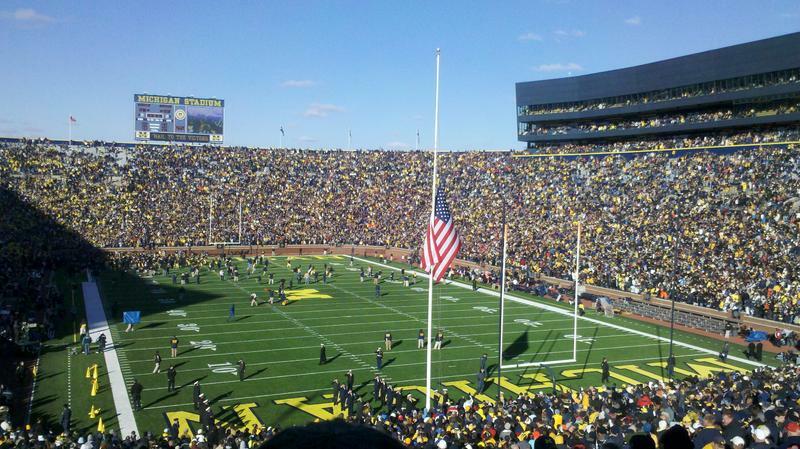 Students and Michigan fans want bigger changes in the athletic department. 89.1 WEMU's Andrew Cluley reports on calls for University of Michigan Athletic Director Dave Brandon to lose his job over the way the department handled quarterback Shane Morris playing after suffering a concussion. 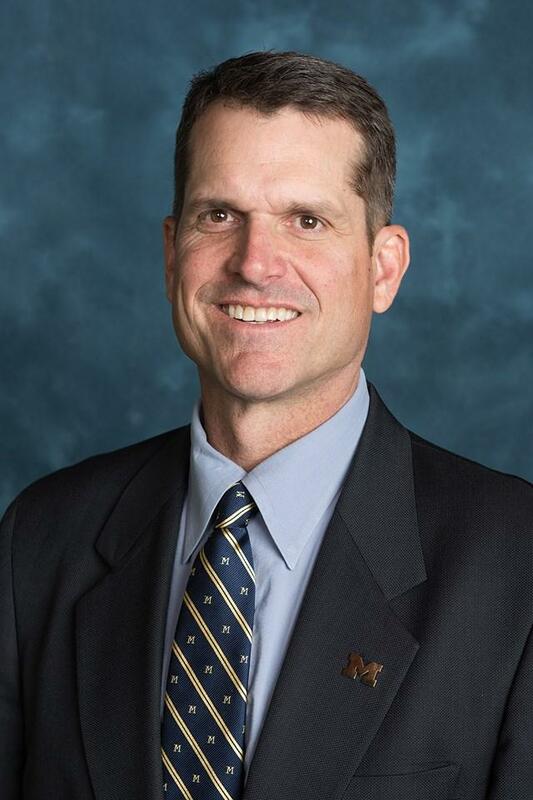 After weeks of speculation it's finally official, Jim Harbaugh is the new University of Michigan football coach. 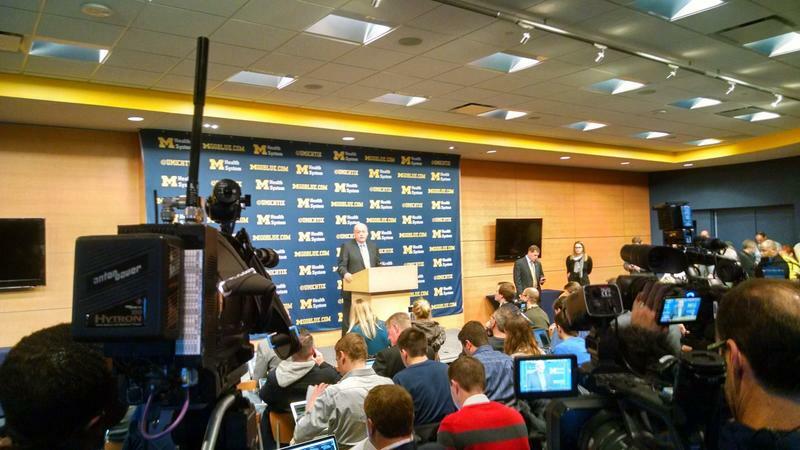 89.1 WEMU's Andrew Cluley reports on Jim Harbaugh being named the University of Michigan's 20th football coach.